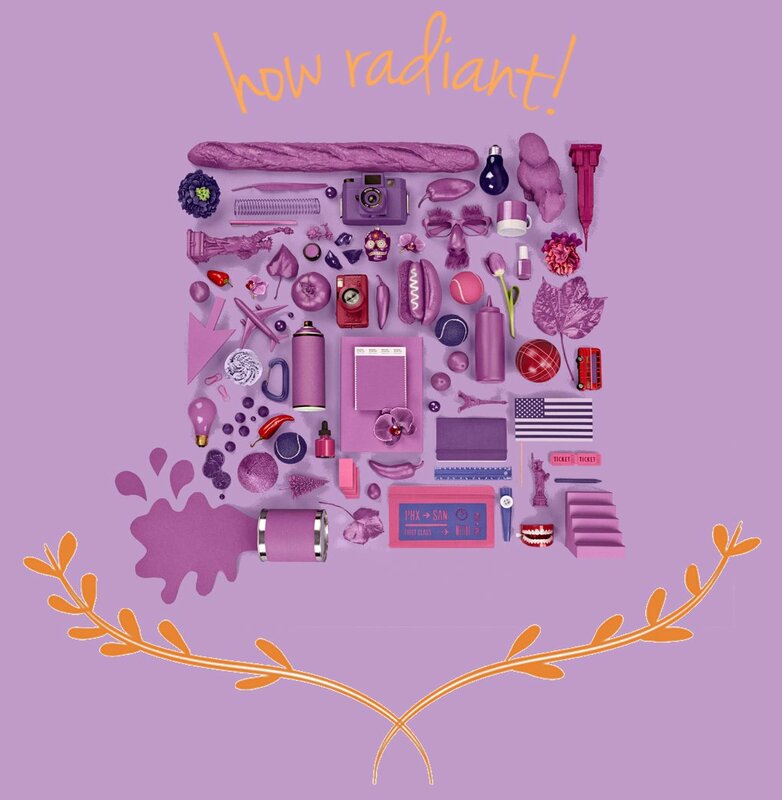 Fashion designers worldwide are taking inspiration from Pantone’s 2014 Color of the Year, Radiant Orchid. With interior designers being greatly influenced by the fashion industry, we are seeing that lovely, embracing shade of purple making an impact in the world of interiors. I am swooning over Radiant Orchid. Are you gaga for for Pantone’s pick? Well don’t just wear it, live it gurlll! Whether you want to make a statement with this vivacious, bold color, or pair it with softer colors for a more subdued interpretation, adding Radiant Orchid into your space will definitely liven things up and add a hint of vibrancy to your home. 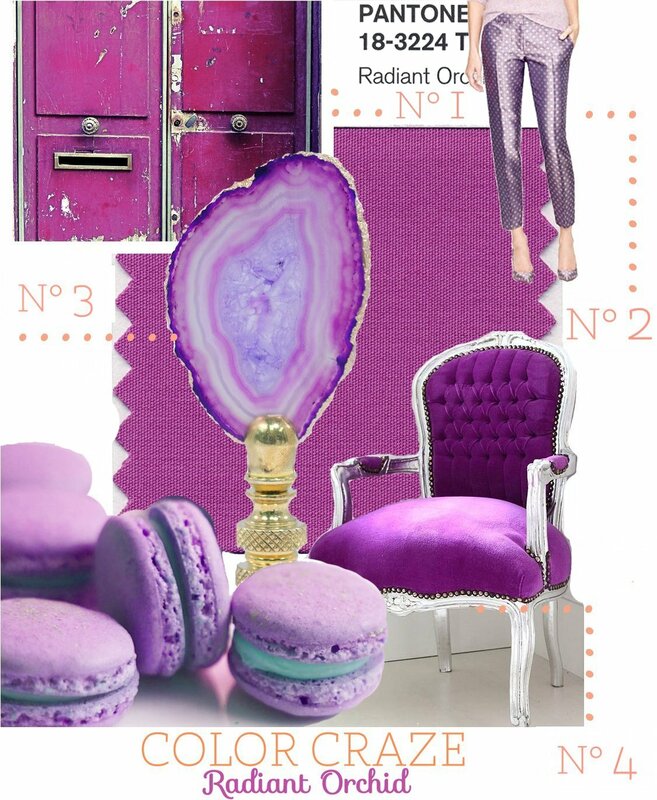 Radiant Orchid all over! Let this exciting color inspire you to make a bold move in your next decorating decision…It could be fun! Today we are taking control! That is, taking control of our bathrooms. Have any of y’all ever noticed the correlation between bathroom tidiness, and how long it takes you to get ready? I am going to fill you in. 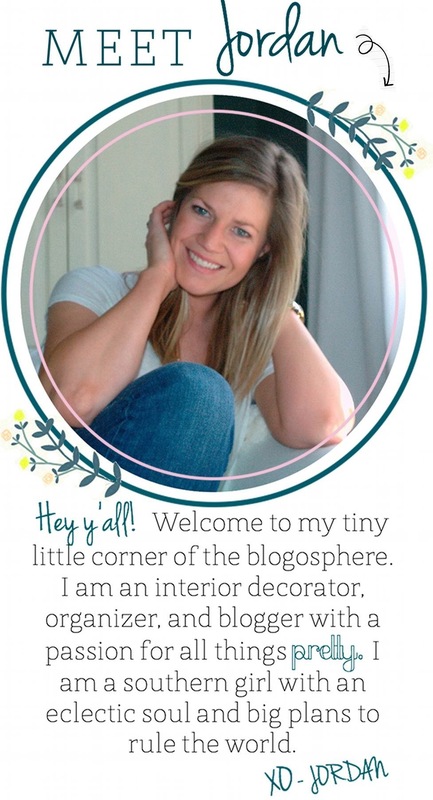 Now, I don’t have a husband our kids, so I don’t know what that is like (phew)! But between the lunch packing, the kiddie clothes duty, homework check and lord knows what else, I would imagine just getting out of the door could be a fiasco. 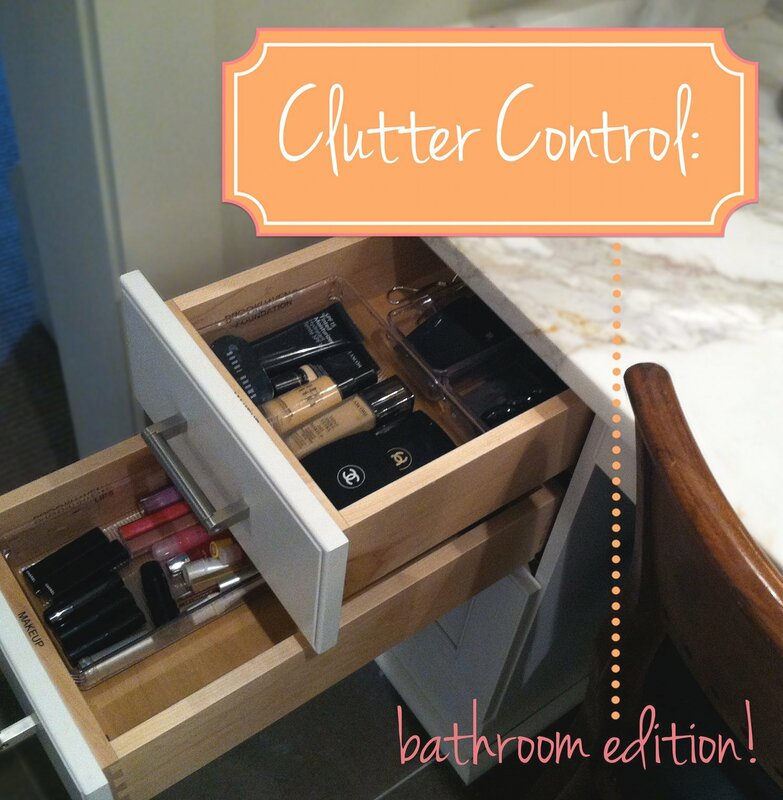 So, in an attempt to to simply your morning process, consider taking control of the bathroom clutter. 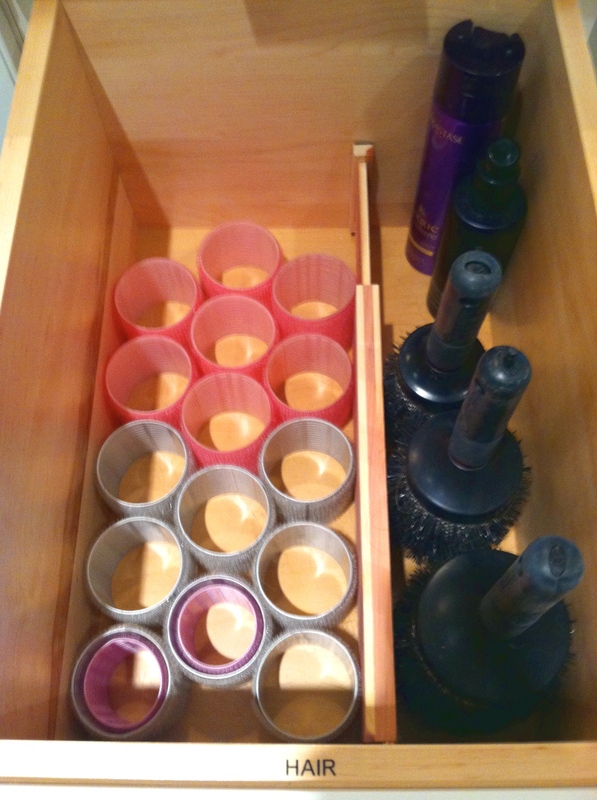 You would be amazed at the amount of time you save getting yourself ready, when your bathroom is nice and orderly! 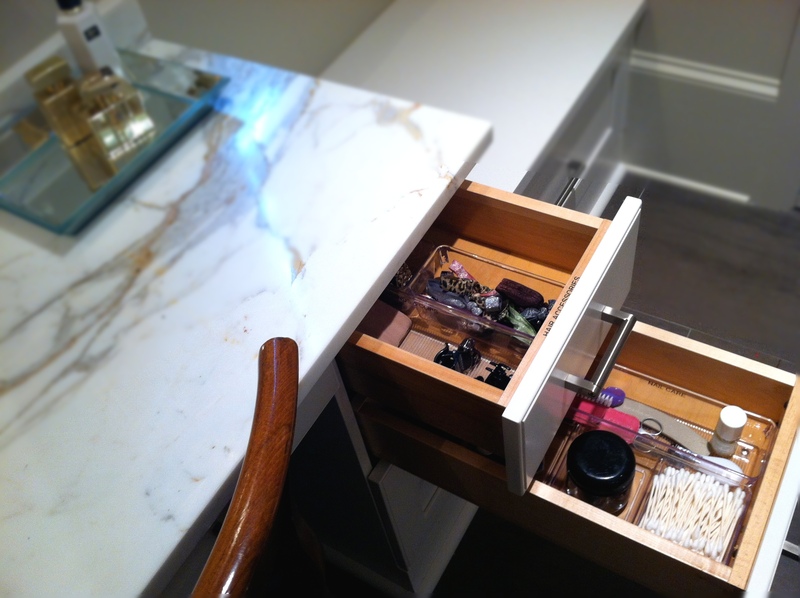 I am sharing my go-to bathroom organizing tips that can work just as well in your space. Let me walk you through, one drawer at a time. First things first. As always, clean out EVERYTHING. 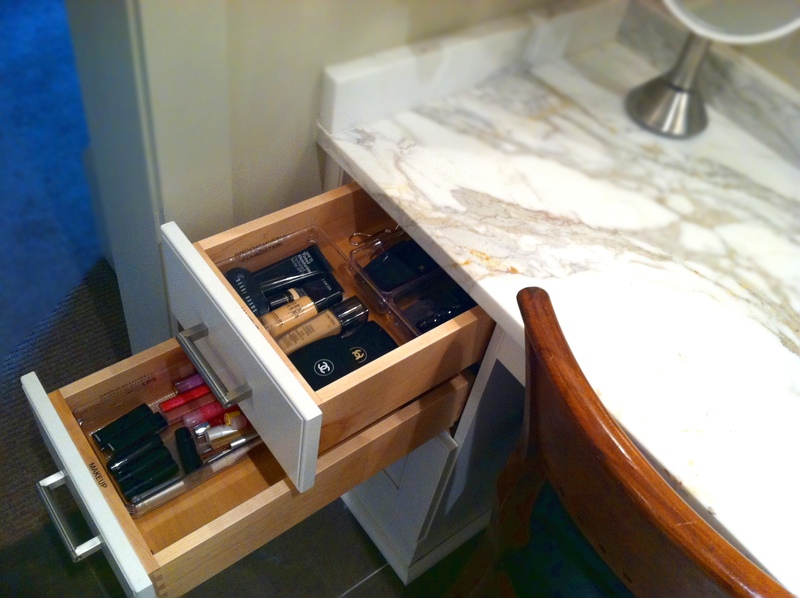 Empty out all of your drawers and purge, purge, purge! Get rid of anything you have not used in a few months and expired products. 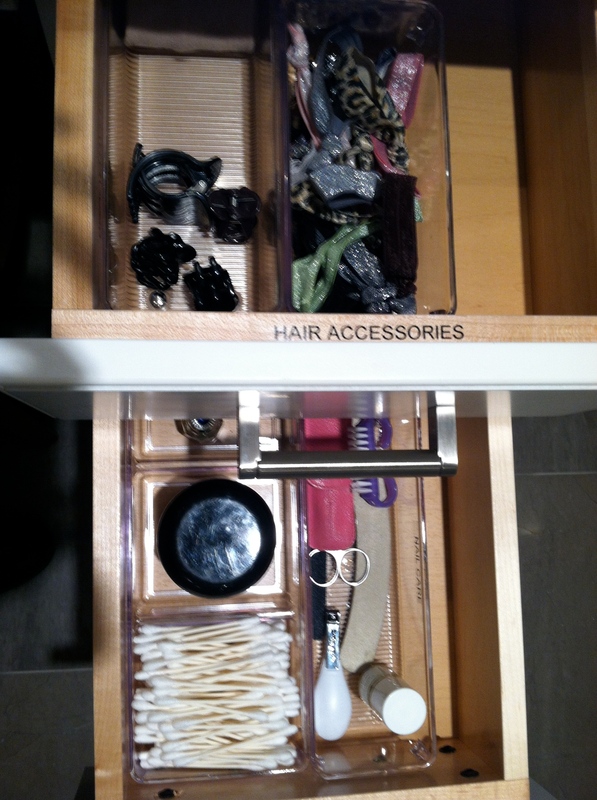 Next, sort the remaining items into categories (hair, makeup, nails, etc.). The final step is the fun part. Assign a drawer to each “family” of items and sort into smaller categories… Let me show you. 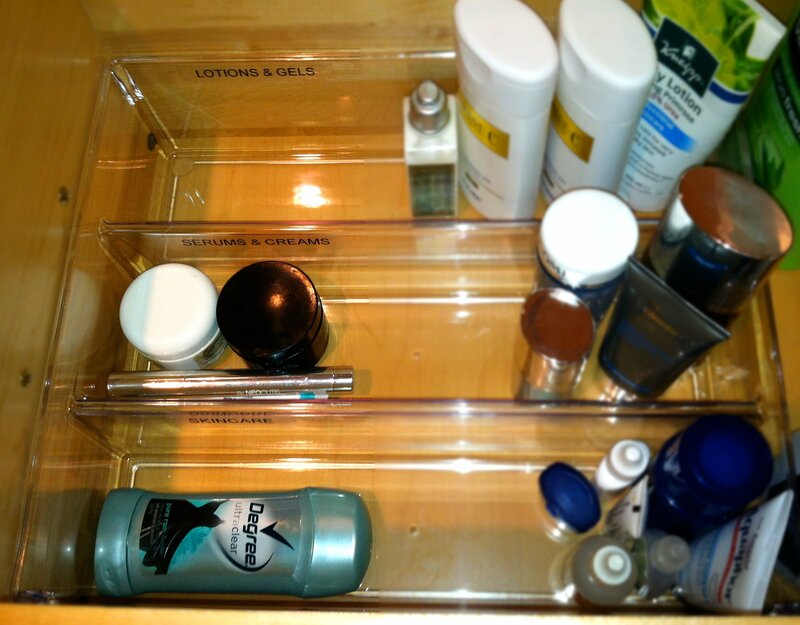 This drawer was assigned to skin care products. 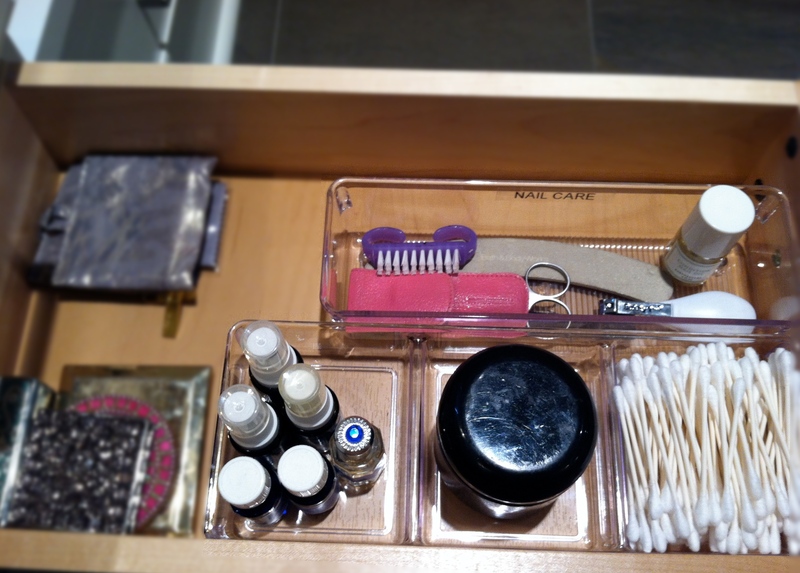 I like to use clear acrylic drawer organizers to sort into smaller categories. And of course, label everything! 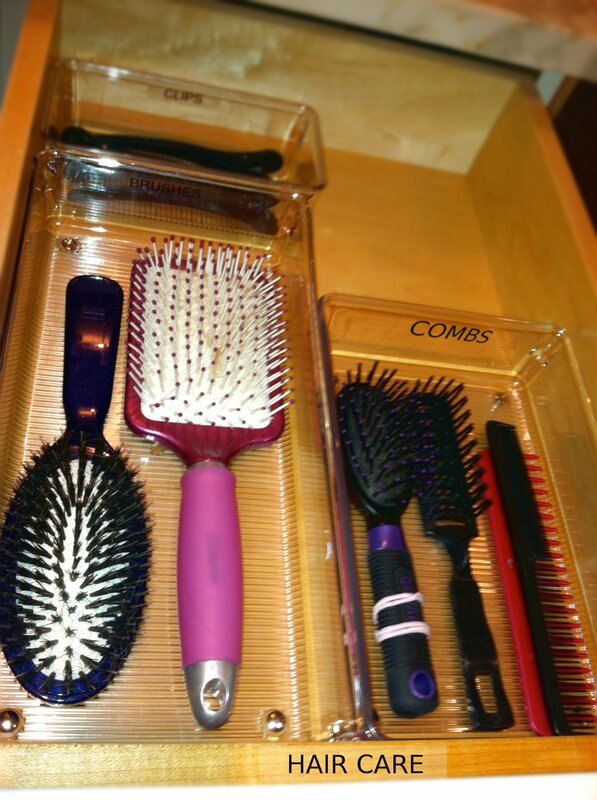 A little trick I use to keep brushes nice and tidy (and this one is a secret) is to use a drawer divider so that brushes can stay standing up. It works wonders. Give it a go! 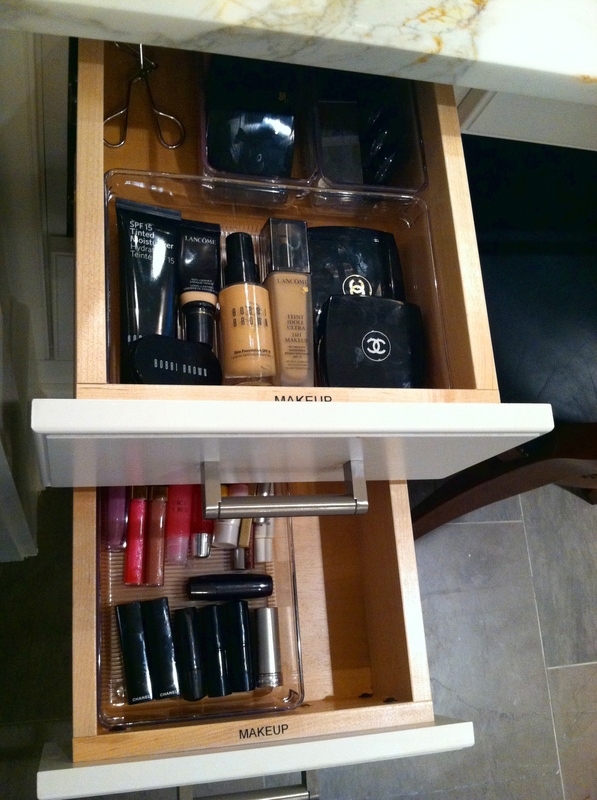 Makeup drawers: One for foundation, bronzers, and blush. Another for lips and eyes. Easy, breezy, beautiful, Chanel. So y’all try cleaning out the clutter in your bathroom. You won’t be disappointed! I promise. Southern Louisiana has been treated with some LOVELY weather lately. Things around here are sunny and warm, and I could not be happier. 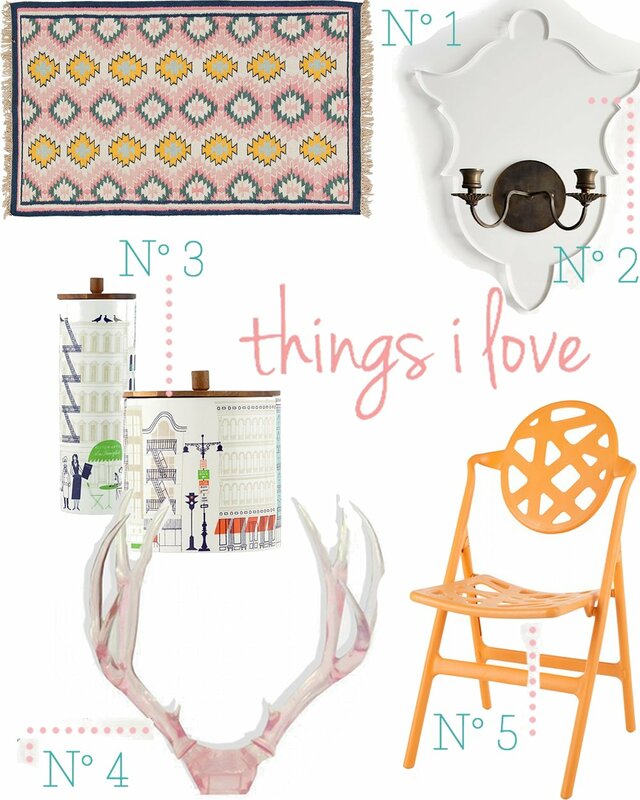 So, to celebrate the first chirpings and crickets, this wish list is dedicated to all things cheery and bright…Pretty pieces that will warm up any cold space for SPRING.